We're Going to Balanga, Bataan! - Gateway to Canada | Canada Immigration Consultancy! We're Going to Balanga, Bataan! 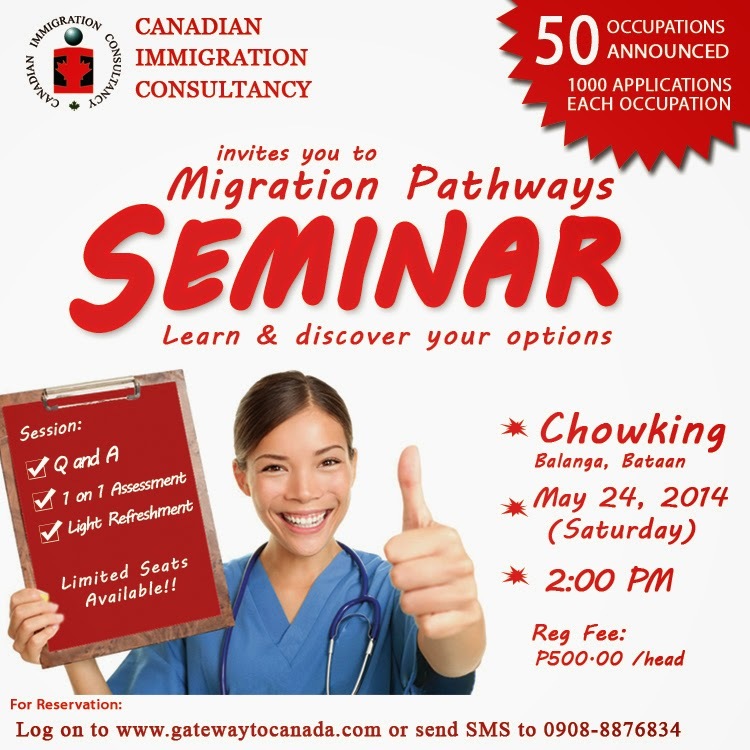 Canadian Immigration Consultancy - Team PIA Corp is going to Balanga, Bataan to conduct Canada Migration Pathways Information Seminar! If you are interested to live and work in Canada legally, come and see and learn your options! Simply Fill out the online registration form to reserve your seat!